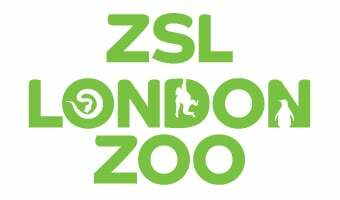 ZSL London Zoo’s newest and most breath-taking exhibit transports visitors from the heart of London to India’s vibrant Sasan Gir, where they can get closer than ever before to mighty Asiatic lions. Three walkways cover the 2,500sqm exhibit with thrilling, immersive Indian-themed areas to explore - including a train station, crumbling temple clearing, high street and guard hut. For the first time, big cat lovers can embark on an interactive Indian adventure as they help ZSL’s forest rangers deal with a ‘lion-emergency’ in the Gir Forest, and lend a hand to the veterinary team who come to the rescue. Land of the Lions will inform, inspire and excite wildlife lovers of all ages and promises to be an experience unlike any other! An exciting opportunity to stay overnight within roaring distance of our Asiatic lions! Take a 360 degree tour of the High Street in our brand new Land of the Lions exhibit! Find out how life around India's Gir forest inspired the design of Land of the Lions! Land of the Lions has been given a royal opening by HM The Queen and HRH The Duke of Edinburgh.